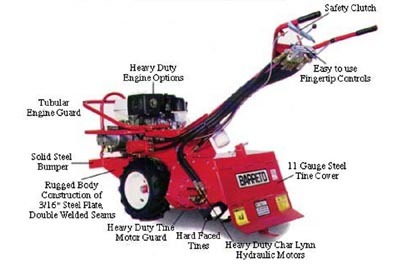 Rental Depot & Party Station, Inc. Rochester Minnesota - Rear Tine Hydraulic Tiller. Applications- Hard and extreme soil conditions (i.e. previously unworked ground).